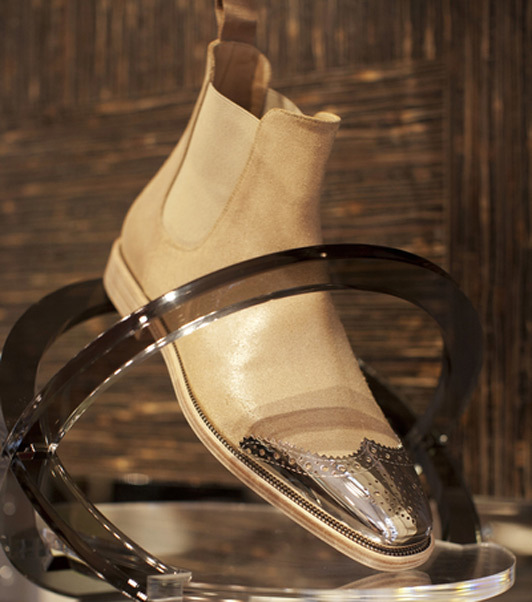 Mayfair's Dover Street welcomes French label Christian Louboutin's men-only shoe emporium. His red soles are synonymous with the heel-clad feet of Victoria Beckham, Rihanna and Kate Moss, but now Christian Louboutin has a dedicated store to cater to his male fans. A two-story retail space on London's Dover Street - also home to Acne, Vanessa Bruno and McQ - has opened its doors, and there's not a stiletto in sight. Decked in a red carpet described by Louboutin HQ as a "deeper, more masculine hue" than the one decorating its women's' stores, lashings of leather hides adorn the space, where spike-studded loafers and gold hi-tops take centre stage. 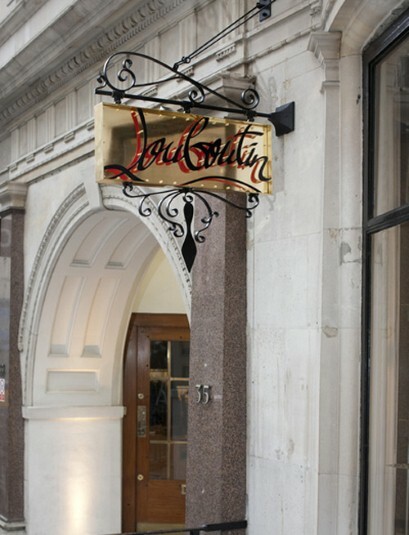 The London boutique is Christian Louboutin's fourth men's-only store; two in the US were launched in recent months following on from the first in Paris last year, which was opened to accommodate the growing demand and popularity of the brand's masculine offering.